I occasionally purchase unknown etchings because something about them is very appealing. It draws me in. Initially I am often not sure why I respond to such works, but my reaction is to purchase them initially and find more about them at a later time when I come across more information. Our personal response to images may be triggered by something about an image which touches us personally or our knowledge of other works which are similar in style or content that link the work in question to others that have come before. Such is the case in point with the two John Wills etchings on this post. 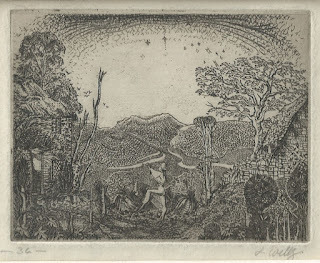 When I found these etchings I was immediately drawn into the Palmer like world he had created within these small works. 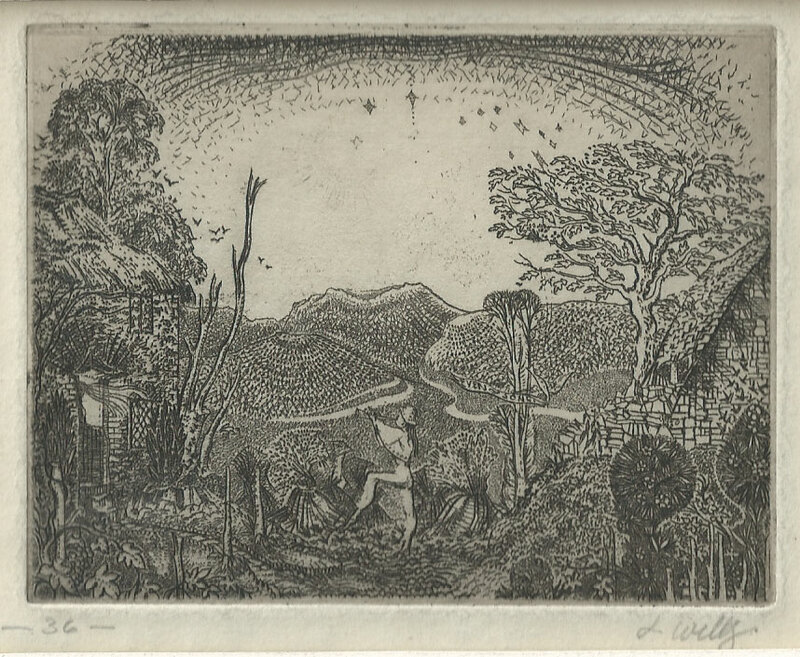 In “the Piper” etching the musician plays his tune to mysterious figure inside one of the small rustic cottages in the valley. The other etching “The High Hedge” or “Twilight of the World”? (1936) also contains elements of rustic villages and exotic foliage and an illuminating lantern in the foreground. 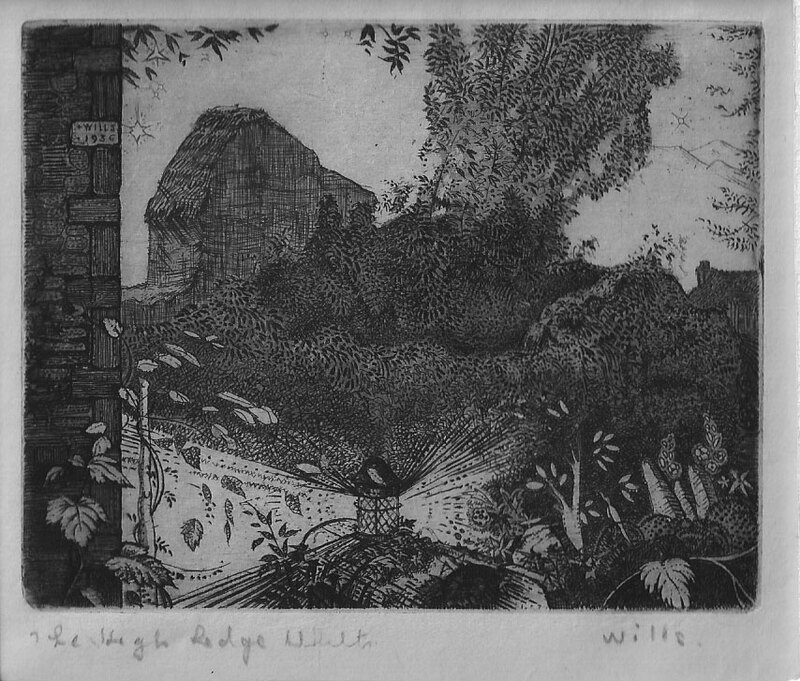 Both etching have a miniature jewel like quality that are reminiscent of the primitive quality of some of the work produced by the Ancients during their time in Shoreham. I know very little about the artist but I know that John Wills studied at the Royal College of Art sometime in the 30’s under the instruction of Robert Austin and Malcolm Osborne. After leaving college he lived and worked in Gloucestershire. Lovely etchings. Have you been able to discover anything else about this mysterious artist since your post?